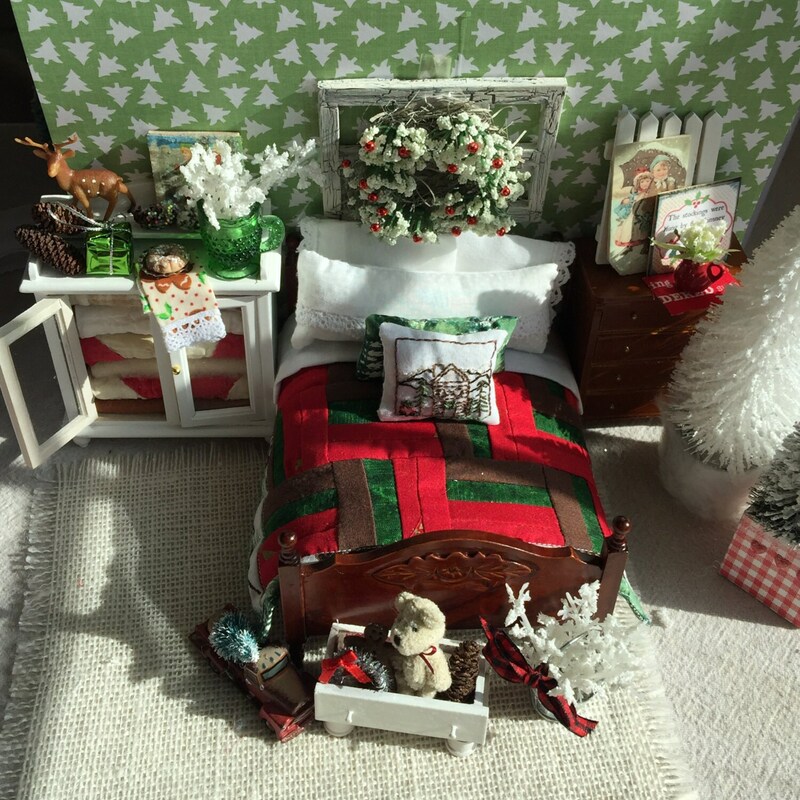 Beautiful dollhouse miniature chest of drawers decorated with Christmas accessories. 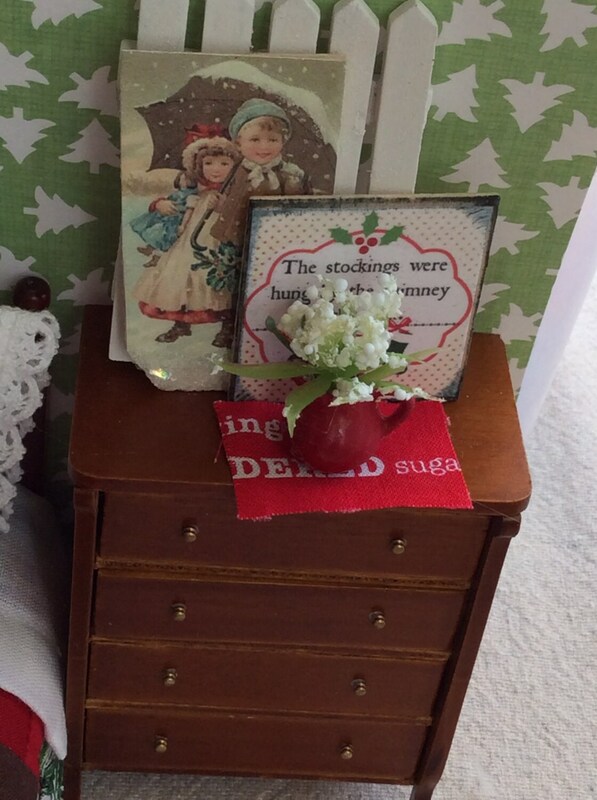 Christmas pictures and a pitcher of little silk flowers. 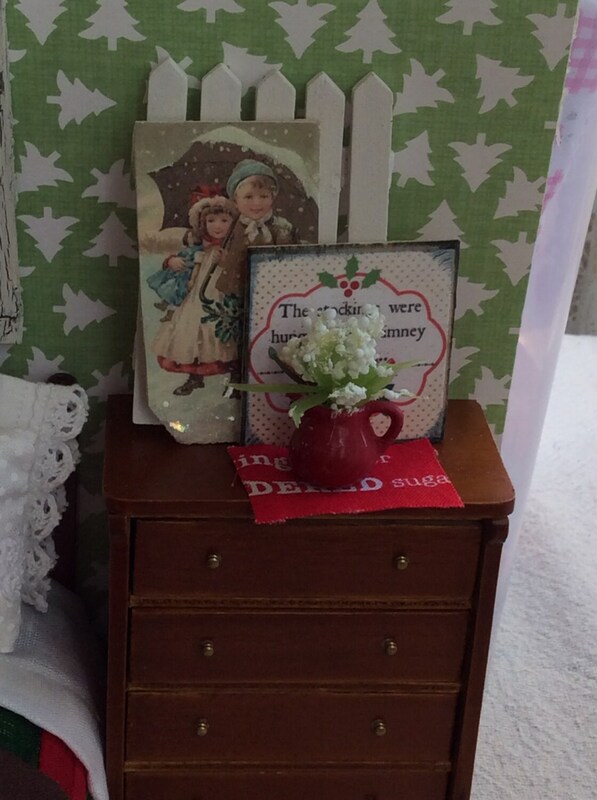 Chest of drawers can be used year round by removing Christmas accessories. 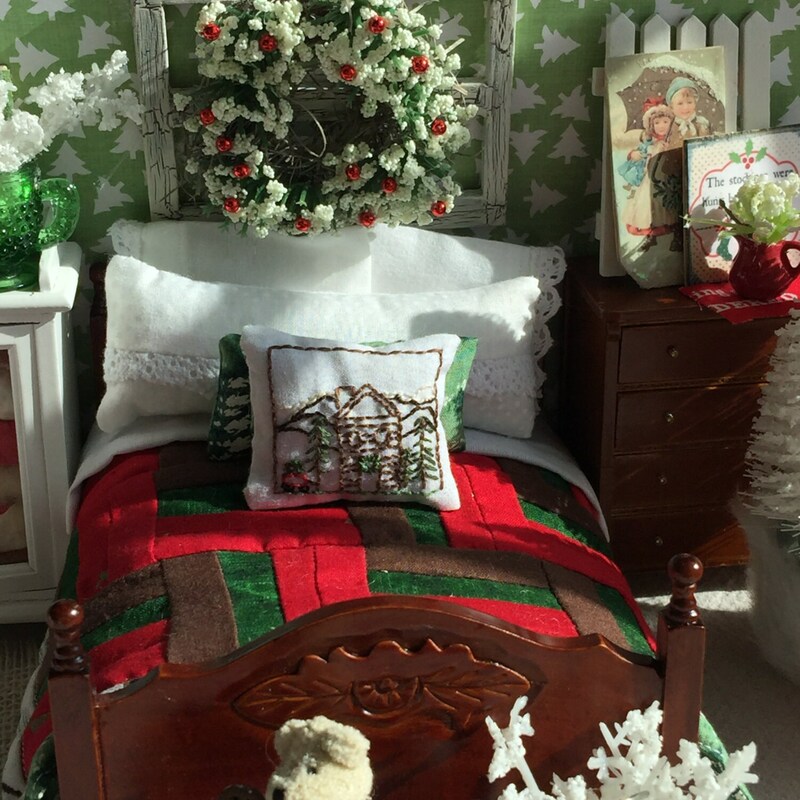 Finely made with beautiful woodwork detail! Thank you!